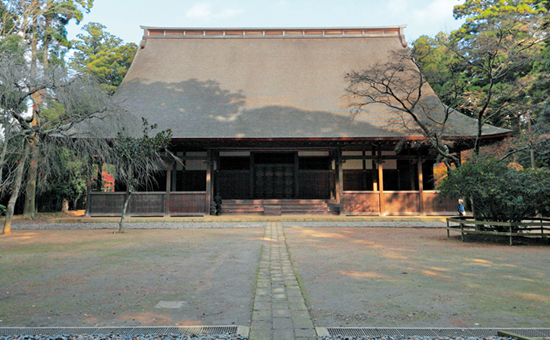 Tokugawa Mitsukuni, an Edo-era feudal lord, visited the famous Iidaka Danrin temple in 1695. This is one of the paths that was built for him to commemorate the occasion. 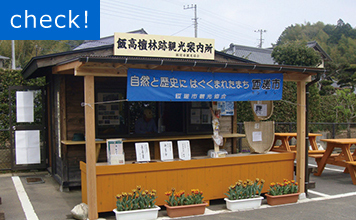 Offers guided tours of Iidaka Danrin as well as a selection of traditional Japanese items for your perusal — from omamori luck charms to chojubashi chopsticks (symbols of long life). Located in the parking lot to the south of the temple. 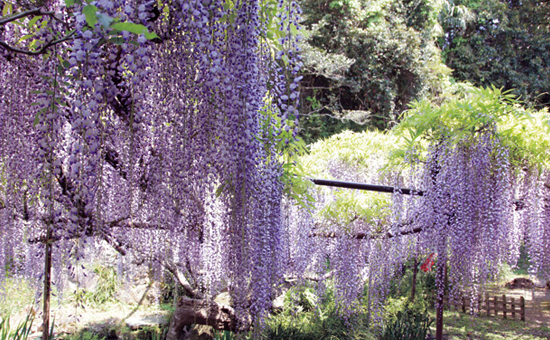 This ancient Nichiren Buddhist site is also known as Wisteria Temple on account of the large 700-year-old Japanese wisteria trees that populate the temple grounds. The trees are best viewed in May, as evidenced by the sheer size of the crowds at that time of year. 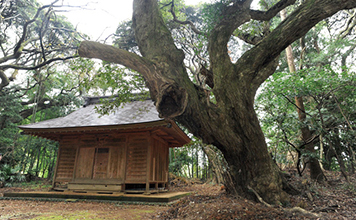 This shrine, dedicated to the deity Amenominakanushi, sits atop a set of moss-covered stone stairs. The collection of twenty-four sculptures that surrounds the inner sanctum is a sight to behold! 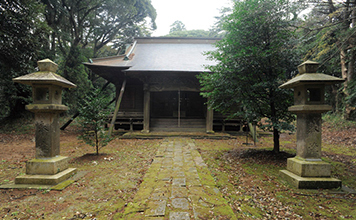 Not only is Iidaka Danrin the oldest school dedicated to Nichiren Buddhism, but it’s also believed to be the oldest higher learning institution in all of Japan — making it one of Chiba’s most historic landmarks! 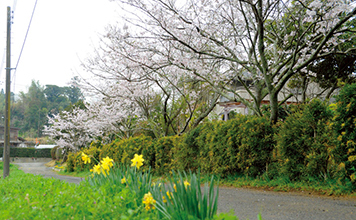 The main hall, bell tower, drum tower, and main gate are all nationally designated Important Cultural Properties, and the ever popular back garden is home to 500 Japanese peonies. 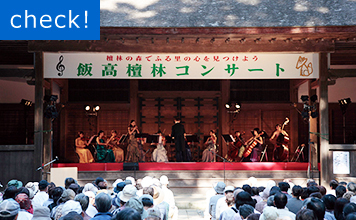 Beautiful melodies echo out from Iidaka Danrin every October, captivating and delighting the assembled crowds year after year. The temple’s main hall acts as center stage for the concert. You’ll find it there at the top of some stone steps: a lush, expansive forest with awe-inspiring sudajii (a Japanese evergreen in the beech family), just waiting to be explored!